Let’s face it — most big cities don’t have many downtown budget hotel options, and Portland is no exception. Although lodging rates generally decrease as the distance from downtown increases, many travelers enjoy staying in the heart of a city, near the sights they’ve come to visit. Portland’s University Place Hotel offers a great downtown location while providing travelers with rates that will stretch their travel budget. Situated downtown on the southeast corner of the University district, the hotel is actually owned by Portland State University. As such, it caters to those visiting campus or attending campus events. But its location makes it a great option for travelers, too. The Orange Line of MAX, Portland’s light-rail train system, stops directly in front of the hotel, as do three Tri-Met bus lines. Transferring from one line to another, even from train to bus or vice versa, is easy in Portland’s Transit Mall, just a few blocks away. 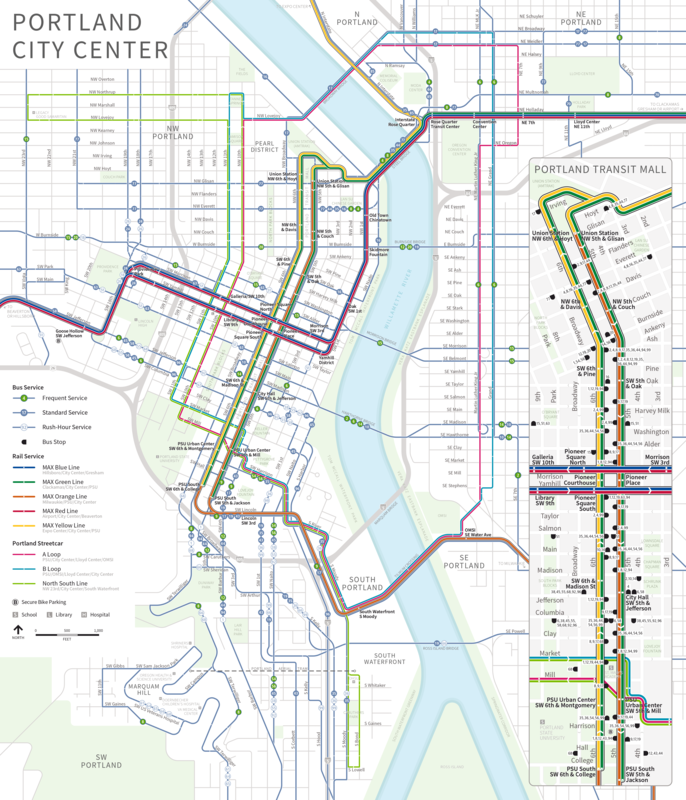 Using public transportation makes sense in Portland, and at $5 for an all-day pass (or $26 for a week-long pass), it’s a better budget option than paying for a rental car and $15 per night for hotel parking. However, for those wishing to rent a car, Avis has a rental location right in the hotel’s parking lot! On our weeknight stay, the hotel’s front desk staff was friendly and welcoming and even offered us some fresh-baked cookies, a hat tip to its former status as a Doubletree property. Guests are welcome to play the baby grand piano in the lobby. A courtyard is home to an outdoor pool (unfortunately closed for the season during our November stay), there’s a fitness center, and a bar & grill offers cocktails and dinner as well as room service. A hot buffet breakfast, served in the restaurant, is included in the room rate, adding to the hotel’s value. It included all-you-can-eat pastries, potatoes, eggs, sausage, coffee, juice, and more. Our room, while not brand-new, was quite clean and well-appointed, with comfortable furniture and amenities. A hair dryer, microwave, mini-fridge, and Keurig coffeemaker were nice touches. The junior suite included a separate sitting area with its own TV and climate controls. Complimentary wi-fi was available throughout the hotel. The only reminder that we were in a budget hotel was in the hallways — the doors to the guest rooms were a bit scratched up and could’ve used a fresh coat of paint. Not a big deal considering the University Place’s location, breakfast, pool, and value. Economy and comfort rooms range between $84-99 per night, while suites stretch the travel budget at $169 and $269. Still, the suites aren’t outrageously priced, especially compared to other downtown properties — a suite here costs less than a standard room at many other downtown Portland hotels! Use the promotional code A1234 to get a significant discount on economy and comfort rooms (currently a rate of $72 per night!). 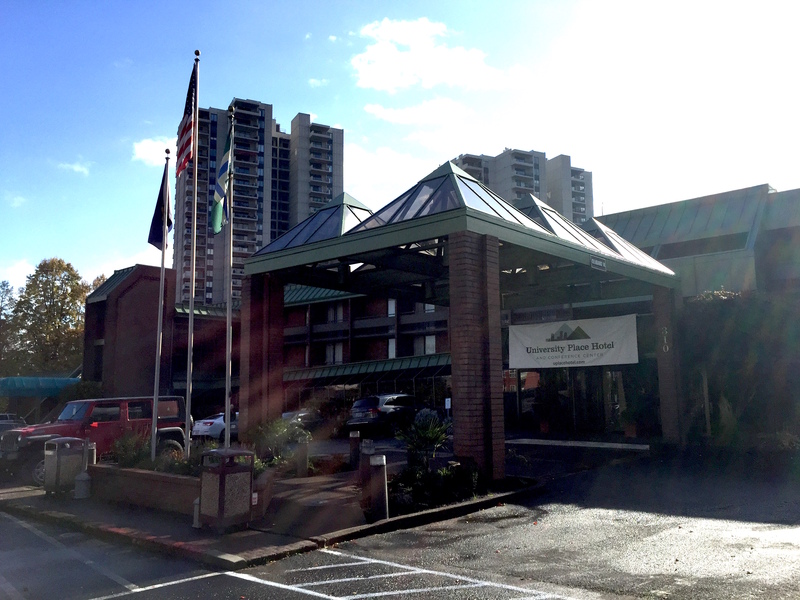 While it might not have the history or charm of its big-budget Portland neighbors, its location, amenities, upscale feel, and rates make the University Place Hotel a great value for travelers looking to stretch their travel budget. Besides, there’s too much to see and do in Portland to spend your time in your hotel room, anyway! We recommend the University Place to anyone visiting the Rose City. Do you know of any great downtown hotel values? Share them in the comments. Wherever you stay, enjoy your next visit to Portland, whether it’s for a week or a weekend! Disclosure: we received a free night’s lodging in exchange for our review. However, all opinions are our own.